To the uninitiated, a kayak looks like a frail and fragile craft, scarcely one in which to tackle difficult and challenging waters, whether white water rivers or raging seas. In reality, however, multiple expeditions in extreme conditions, by river and sea, bear witness to the versatility and ability of such craft to bring their paddlers safely through conditions in which any other form of craft would be hopelessly out of place. One such expedition, and one that caught the public eye in a way that kayaking rarely does, was the 1976 Descent of Everest Expedition in which a team led by 23 year old Doctor Mike Jones paddled the Dudh Kosi river in Nepal. Mike Jones began kayaking at the age of 14 in his native Yorkshire and soon learned to paddle all the local white water rivers. At the age of 17 he was the youngest member of an expedition to paddle the River Inn, the most demanding stretch of white water for kayaking in Europe. By the time he was at Birmingham University studying medicine he was planning and organising more trips as well as acting as team manager of the British Universities Slalom and white water team, competing with some success in international slalom events in Europe. Frustrated, however, by his failure to make the grade of the British Olympic kayak slalom team Jones focused his intentions on foreign expeditions. Inspired by an earlier failed attempt by the explorer Colonel John Blashford-Snell to run the Blue Nile by inflatable, he decided to try it by kayak; bandits and crocodiles formed as much of a threat as the wild waters of the river and team members canoed and slept with antique first World War revolvers in case of attack. Having achieved several first descents on some of the world’s most notorious white water rivers Jones then turned his sights on Everest. Many Everest glaciers are pockmarked with lakes filled with melt water, one of which, at 17,500ft, near the foot of the Khumbu Glacier, is drained by streams which a few thousand feet lower become the Dudh Kosi river, “a racing mountain torrent, a thundering mass of white water … For eighty miles it foams, plummets and churns its way through a series of wild and breath-taking gorges until, thirteen thousand feet below … it empties itself into the Sun Kosi River … and thence into the Ganges”. To paddle the lake at 17,500ft would set a world record for paddling at height, while the descent would involve a rate of fall of 285 feet per mile, compared to ten feet per mile in the Grand Canyon and fifty feet per mile in the 1972 Olympic slalom course. 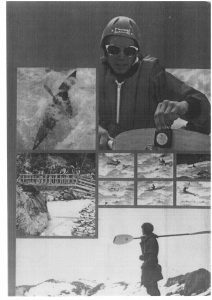 Paddling the Dudh Kosi offered particular challenges besides those involved in any “ordinary” white water expedition. The thin air and lack of oxygen at height would make it difficult to breathe and would starve muscles of strength for the major exertions of paddling hour after hour and would also slow the mental reflexes necessary for split second judgements when paddling among rapids. Dudh Kosi translated from the Nepalese means “river of milk”, not only because of the milky colour resulting from all the silt it carries but also because the bed is strewn with boulders which churn the already racing water into a seething creamy whiteness. A moment’s lapse of concentration could be fatal as to capsize could result in concussion and drowning from striking a rock whilst to part company with one’s boat in water barely above freezing, flowing at points at 30 miles per hour over a river bed strewn with rocks would make recovery virtually impossible. The undoubted hazards made some potential sponsors decline involvement for fear of being involved in an expedition that they thought likely to involve loss of life. Nevertheless Jones’ indefatigable energy and enthusiasm eventually found sufficient sponsors and over 18 months of preparation he put together a team of ten; seven paddlers, two cameramen, and a quartermaster. Eleven 13ft long fibreglass slalom-style kayaks, specially designed by Pyranha Canoes with extra buoyancy and reinforcement to take the punishment from river and rocks, were taken to Kathmandu before being portaged another 180 miles over 17 days to Everest Base Camp to start the descent. On the water the team endured exhaustion, high altitude swims and near drowning in close to freezing water, with team member Mick Hopkinson being carried three quarters of a mile downstream after a capsize, spending nearly fifty minutes in the water. At the successful end of the expedition the team had to load up their minibus and drive the 7500 miles back to the UK, albeit minus a number of the kayaks which had been smashed on the descent. Cameras mounted on the bows of one boat captured dramatic images, including underwater during capsizes, while gaining other images involved the experienced adventure and expedition cameraman Leo Dickinson being suspended 200ft above the gorge. The resultant film, shown on television on Boxing Day 1976, captured an audience of some eleven million. Two years after Everest, in 1978, Jones decided to head for K2 and the Braldu River in the Karakorum where he was tragically drowned while attempting to rescue a friend following a capsize. The kayak used by Jones on the Everest expedition was donated by his parents to the Museum following his death while the Everest canoe, named after the expedition, and produced by Pyranha, went on to become one of the most popular models of its generation. “Why do they do it?” is a question asked of many adventurers who inhabit the limits. 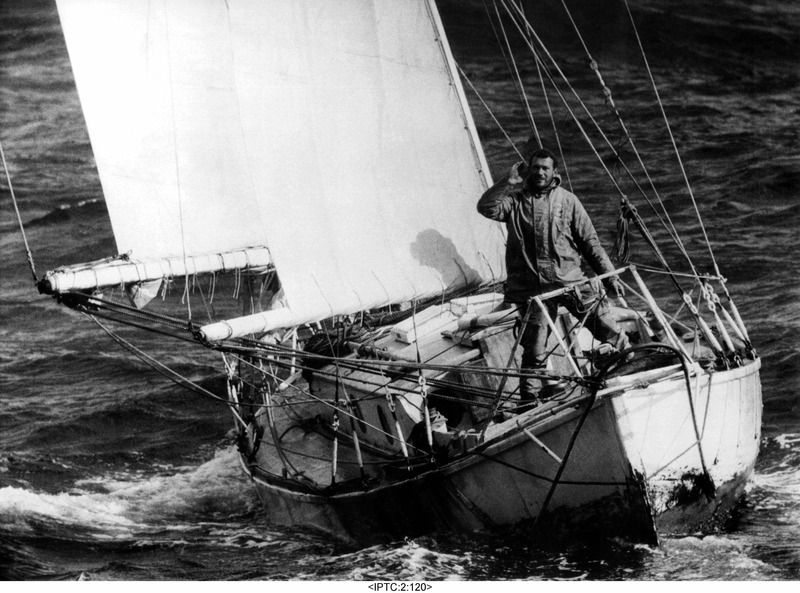 Mike Jones’ response was: “Happiness is struggling against the huge elemental pounding waves of some strange river …where no one has ever travelled before”.